Styled with eleanora blouse . 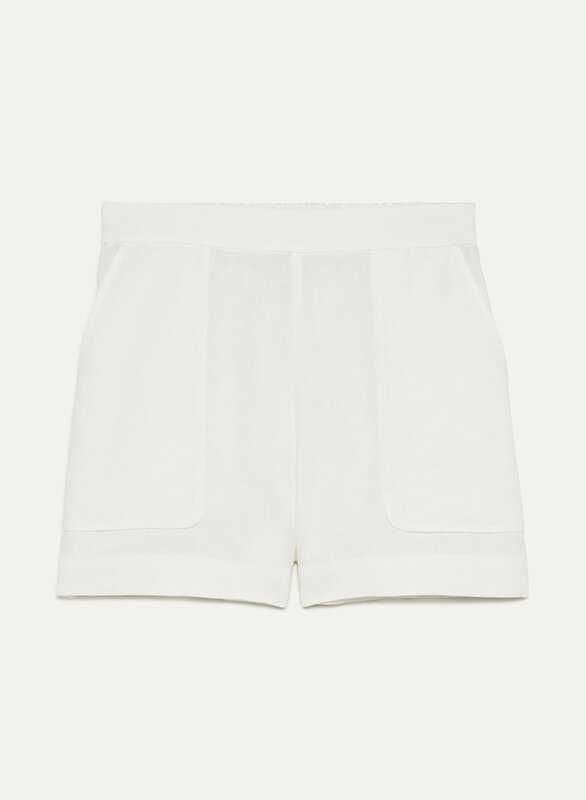 These shorts are made from a lightweight linen that's perfect for warm weather. The high-rise silhouette has a pull-on elastic waistband for ultimate comfort.